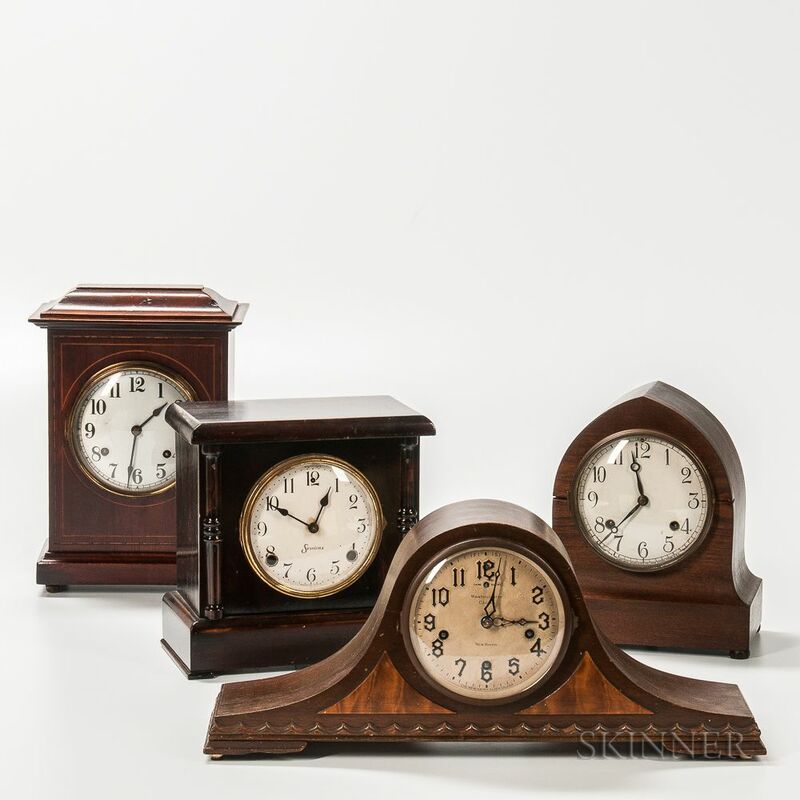 Four American Shelf Clocks, a New Haven tambour clock with Westminster chime movement and three eight-day time and strike clocks, a flat-top Sessions, a New Haven "Auston," and a step top with a label that marked in part "British Jerome Movement" with dial marked made in England but movement marked "New Haven Trade Mark, U.S.A.," ht. 8 1/2 to 13 in. New Haven has a case shrinkage crack.